There are very few cruises to Australia from NYC. Only one or two a year are offered, which makes these rare voyages all the more cherished. See the schedule of departures below. Ports of call on the way to Sydney include the Caribbean, the Panama Canal, Hawaii, South Pacific islands and New Zealand. Enjoy a true journey of discovery ending at the wonders of Down Under. 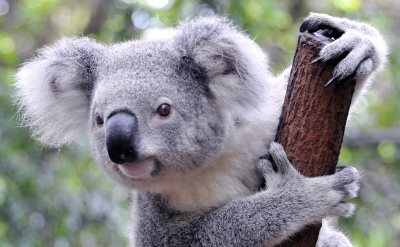 51-day cruise to Australia on Oceania Cruises. One-way from New York to Sydney (Australia). Ports of call at Miami (Florida), Havana (Cuba), Cartagena (Colombia), the Panama Canal, Golfito (Costa Rica), Puntarenas (Costa Rica), Corinto (Nicaragua), Manzanillo (Mexico), Puerto Vallarta (Mexico), Cabo San Lucas (Mexico), Los Angeles (California), Nawiliwili (Hawaii), Honolulu (Hawaii), Hilo (Hawaii), Nuku Hiva, Rangiroa, Tahiti, Bora Bora, Pago Pago, Fiji, Bay of Islands (New Zealand), Auckland (New Zealand) and Wellington (New Zealand). • 2019 departure: January 11. 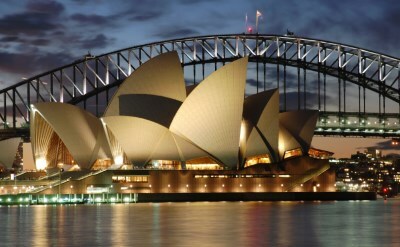 38-day cruise to Australia on Princess Cruises. One-way from New York to Sydney (Australia). Ports of call at Charleston (South Carolina), Curacao, the Panama Canal, Puntarenas (Costa Rica), Manta (Eduador), Salaverry (Peru), Lima (Peru), Easter Island (Chile), Pitcairn Island, Papeete (Tahiti), Bora Bora (French Polynesia), Auckland (New Zealand) and Bay of Islands (New Zealand).